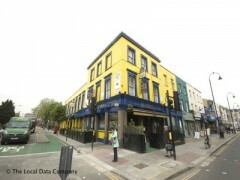 About: Quinn's is a pub that serves a variety of real ales, beers, wines and spirits as well as traditional pub food. It is a popular venue that attracts office workers, tourists and the young. They can cater for private parties of up to 100 people and provide outside seating in the garden. nice pub, used to have great food, wonder how it looks now?